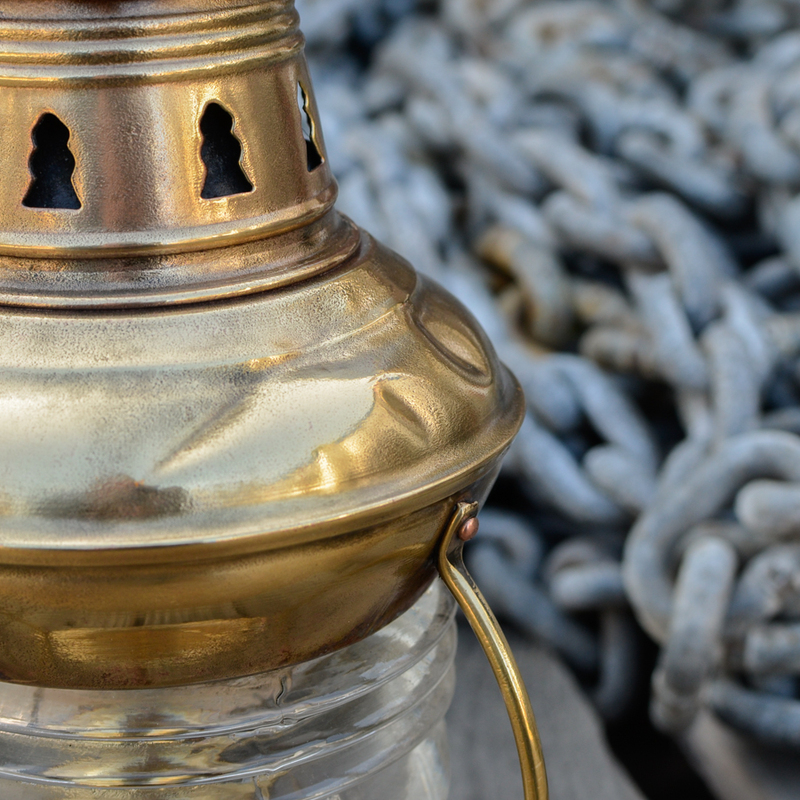 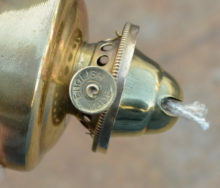 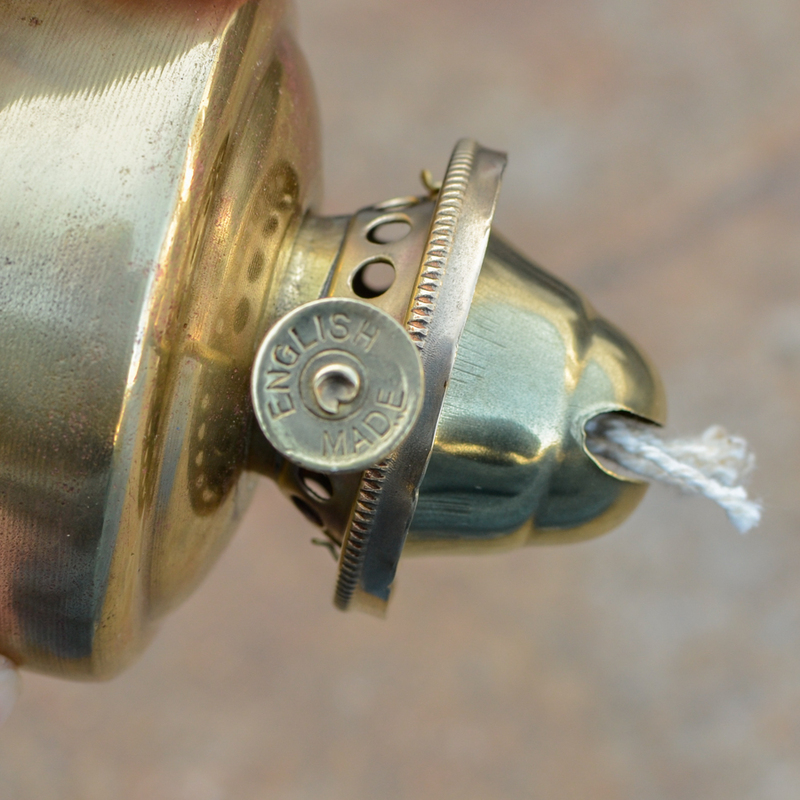 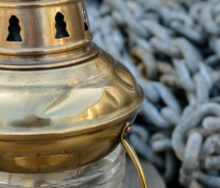 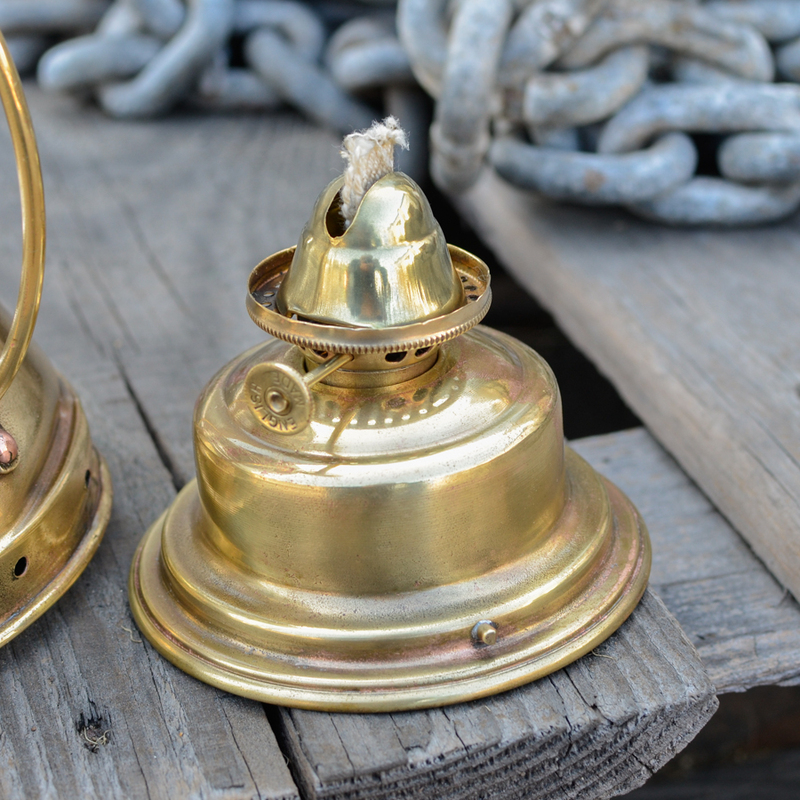 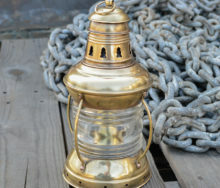 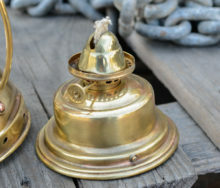 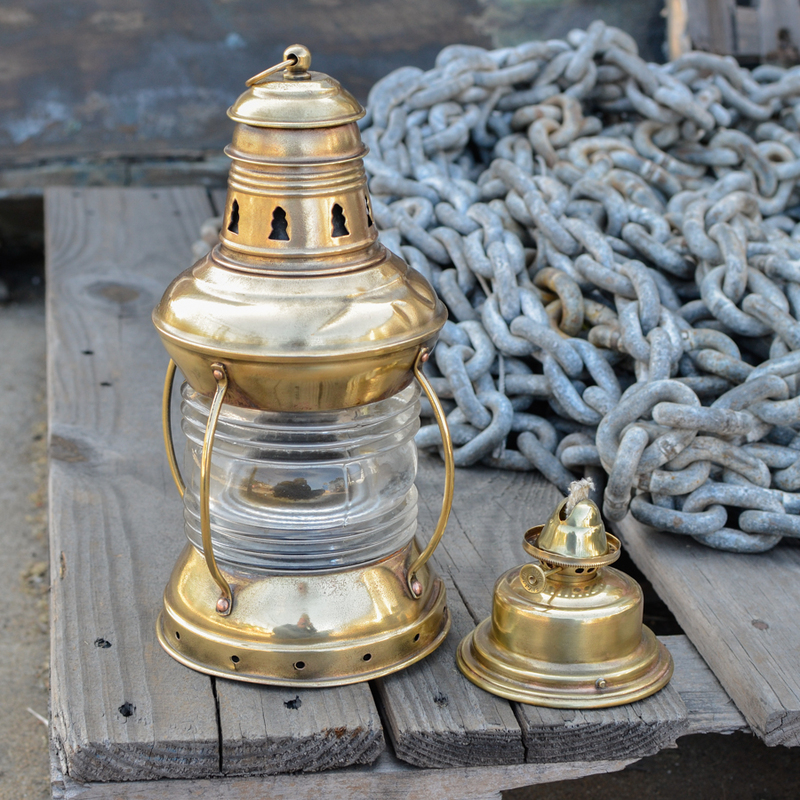 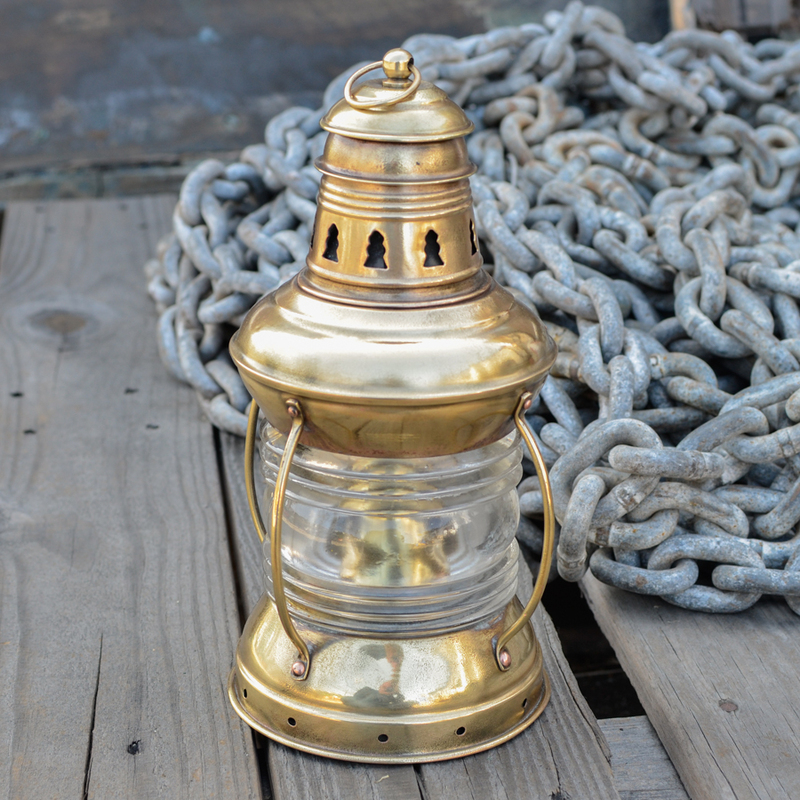 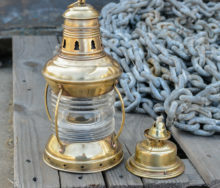 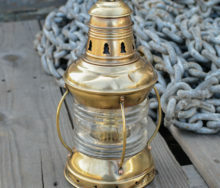 A solid brass ships anchor light made in England. 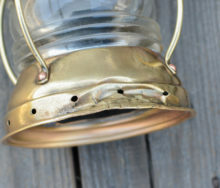 No other makers marks visible on this handsome piece. 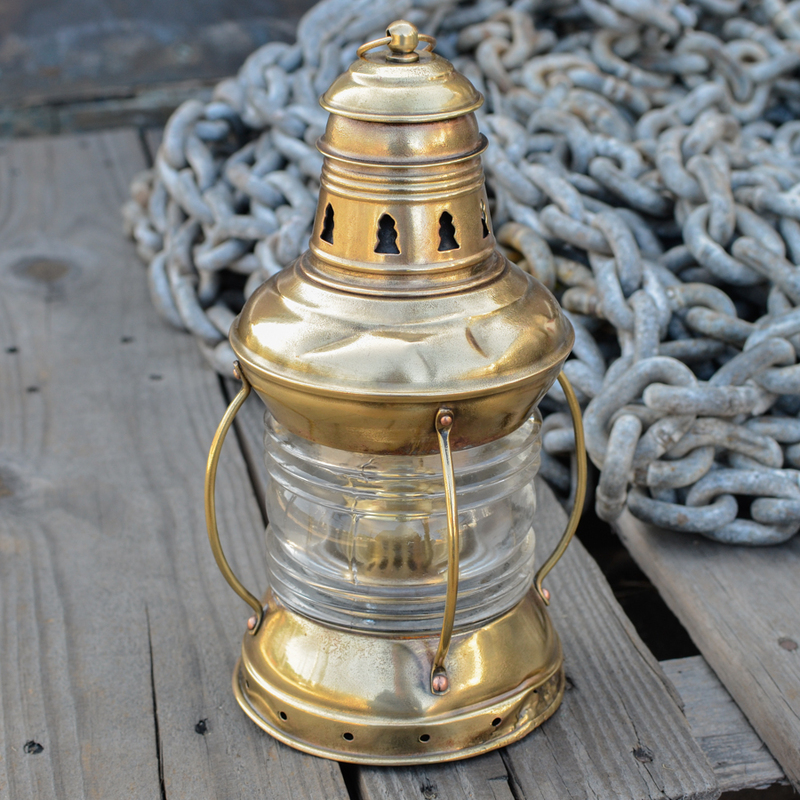 Stands 10.5 inches tall with a 5.25″ diameter base which holds the oil pot. 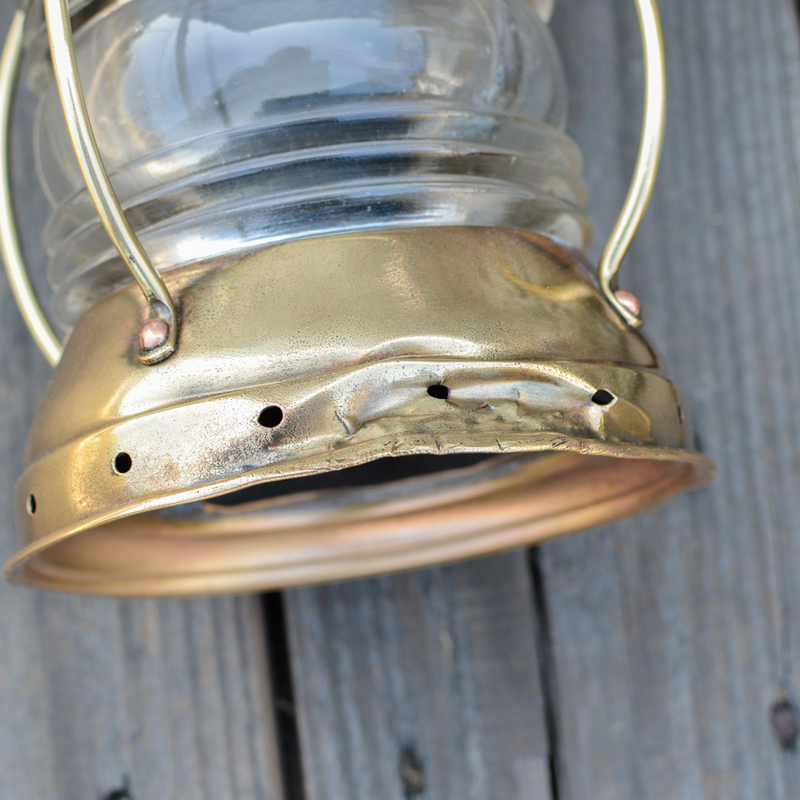 There is some weather/storm wear along the base which give this lantern character and patina.